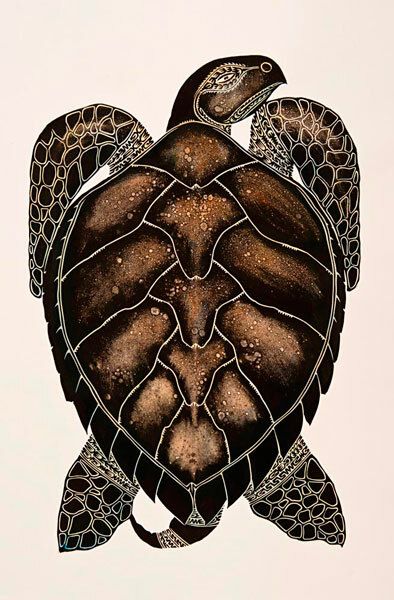 Turtle shell flakes or KOERAR in the MALUYLIGAL langugae people of ZENADH KES (Torres Strait) refer to the carapace of the WAARU(greenback turtle or the WUNUWA (hawksbill turtle). 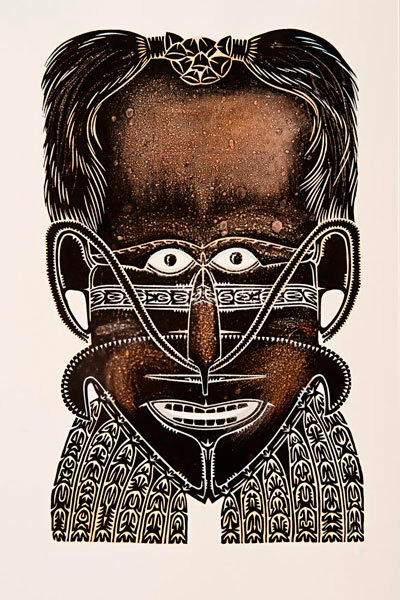 The KOERAR are used by Torres Strait Islanders for countless generations for mask making for traditional cultural ceremonies rituals. 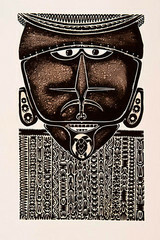 This print depicts a WUNUWA which has the thicker plates overlapping each other and is commonly used for intricate fretwork carving in mask making. Samul is the plural of Samu meaning cassowaries in the Kala Lagaw Ya language of the Maluyligal people of Zenadh-Kes (Torres Strait). The feathers have been traded with the people along the east coast of Papua New Guinea for centuries. They are used for decorating numerous items including Masks weapons and costumes. The turtle shell masks of our ancestors were unique among the indigenous cultures of the world. 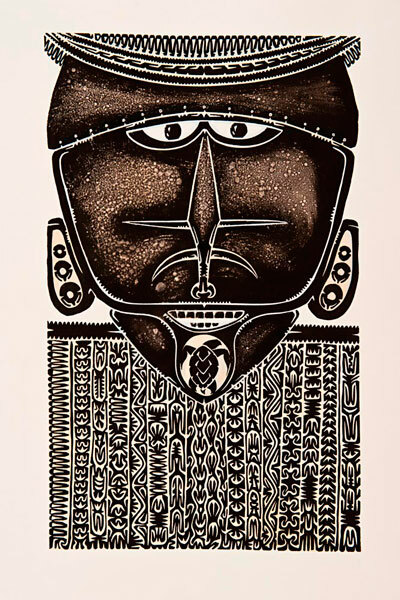 many masks were collected by the early anthropologists and explorers to the region and can be seen in a number of the leading museums throughout the world including the Metropolitan museum of art in New York, the National Museum of Scotland and the Britsh Museum. 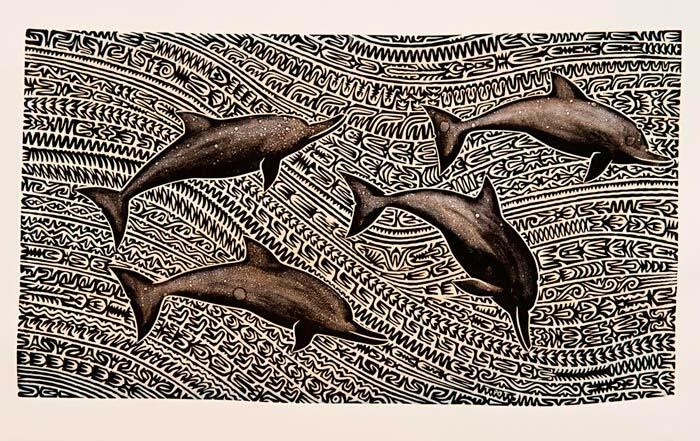 European explorers to the Torres Strait in the 17th century described the local people as dolphins because of their diving and swimming skills. 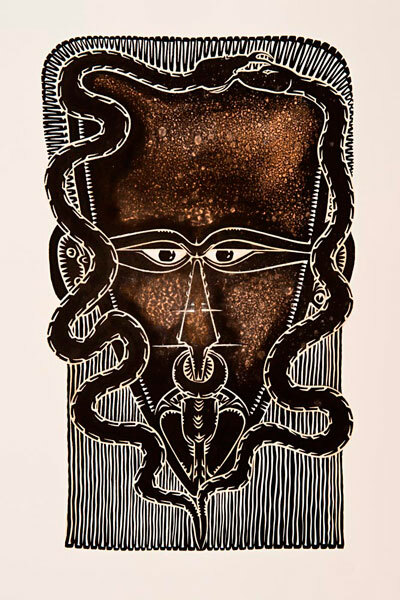 The patterning in this print represents the waves of my culture. 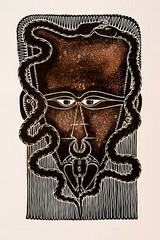 These Bidul represents the descriptions given to my forefathers by the explorers.